2018 is a very special year for Polish sport. Handball celebrates the 100TH anniversary of its presence in Poland. 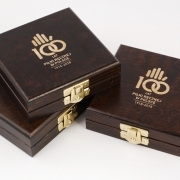 Our company will be responsible for preparing medals for Polish Handball Federation dedicated to commemorate this jubilee. We know that our customers expect from us project implementations that are characterised by the highest level of quality. This is why at MCC Metal Casts we constantly develop our production techniques. We are also expanding the range of products and available solutions. 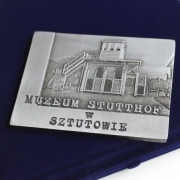 One of our last proposals is two-piese sports medals. It has been a long time since custom made casts ceased to be pieces of metal with uninteresting shapes and boring patterns. The development of production techniques and design has contributed to the fact that more and more often casts are works of art in their own right. 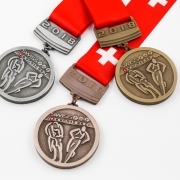 We wish to invite all those who are interested in the offer provided by MCC METAL CASTS to come to Munich on 28th -31st January 2018 and attend ISPO 2018. Once again our company will be present at this largest fair for the representatives of the sports industry. THE VISIT OF PRINCE WILLIAM AND PRINCESS KATE IN POLAND HAS COME TO AN END. 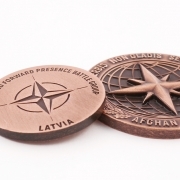 DURING THEIR STAY, THE COUPLE HAVE RECEIVED A SOUVENIR MEDAL, DESIGNED AND MADE BY OUR COMPANY. THE DUKE AND DUCHESS OF CAMBRIDGE, WHO CAME TO POLAND WITH THEIR CHILDREN ON MONDAY, HAVE DEPARTED TO GERMANY TODAY JUST BEFORE 11 AM. THERE, THEY ARE GOING TO CONTINUE WITH THEIR JOURNEY.